Often users come across situation when they are unable to access the database of MS SQL Server. This may be due to various reasons like virus or malware attacks, sudden shutdown of system, or because of corruption in the database. There are scenarios when the database comes across certain inconsistency issues and it gets corrupted. Even though, SQL server itself is not the creator of database corruptions. However, the input & output subsystems, the memory chips of drives are somewhat responsible for corruptions. This result in loosing access to the vital data stored in the database of SQL server. In order to overcome such issues, a user needs to perform some techniques. Here, we will discuss about a corruption error reported by DBCC CHECKDB as SQL Error 2537. Microsoft SQL provides an inbuilt tool DBCC CHECKDB for performing the consistency and integrity check of the database. Whenever a user is unable to access the database, he/she can go in for consistency check by the tool. While performing the consistency check there may be a scenario when the error reported by the tool is SQL server 2537. "Object ID O_ID, index ID I_ID, page P_ID, row ROW_ID. Record check (CHECK_TEXT) failed. Values are VALUE1 and VALUE2. For every object which consists of computed columns, an expression evaluator is compiled for it. If the expression evaluator cannot be compiled then a user cannot perform consistency checking of the columns. An expression evaluator is used to assess the persistent computed columns. The value returned by the evaluator is compared with the persisted value in the index record. If the null status of the compared values varies by two or if the byte comparison of the values differs, then error 2537 is reported. In such kind of scenarios, users should take into consideration that they would not run the REPAIR_ALLOW_DATALOSS statement, as doing so would affect the entire database. Delete the problem-causing row or simply update the Sql_variant data type column with the exact value. Check out the faults with hardware parts of the system. If hardware issues are detected then one can re-install the Operating System and format the hard-drives of the machine. Another useful way out is, to go for a restoring process from the update backup. However, if backup is not updated or have not been maintained, third party solutions can come to help. The advanced third-party tools enables user to scan the entire database by using efficient recovery techniques and then restores the database. 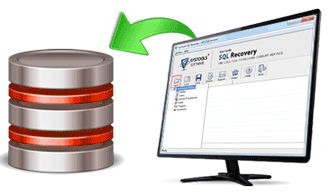 One such solution is SQL recovery tool which provides a proficient solution.